Reflective insulation products are made from foil and is a highly reflective material that reflects radiant heat instead of absorbing it. They are usually installed in in homes or buildings and can be used instead of the usual plastic underlay. 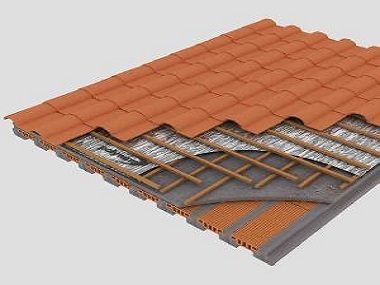 Often referred to as radiant barriers, their primary use is to reduce solar heat in summer from penetrating your roof and keeping your interior cooling costs down. Radiant barriers don’t reduce heat conduction like thermal bulk insulation does. Radiant barriers work by reflecting the heat source off the reflective foil or reflective roof paint. There are 3 different ways in which heat travels from a warm area and into a cool area. You get conducted, convection and radiation heat. When the sun hits your roof, it’s the radiant energy that makes the roof hot. This heat travels by conduction into the roof, radiating solar heat into the cooler areas of your roof. Using a radiant barrier for protection reduces the heat transfer from under the roof tiles and into your roof area where heat builds up fast. Which climates do radiant barriers work best in? Reflective insulation is best used in hot climates or areas than cool ones. They are used to reflect heat so you won’t gain much benefit in cold regions. Bulk thermal insulation like fiberglass is the preferred insulation for cold climates. You will save between 5% – 10% on cooling costs when used in hot and sunny climates. There are many different kinds of reflective insulation you can buy. 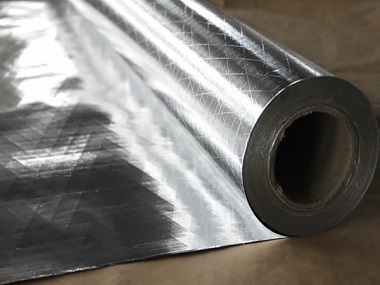 They consist of an aluminium, highly reflective foil, which is laminated to one or both sides of material such as craft paper, oriented strand board or fiber-reinforced to increase strength. Products like sisalation, spunsulation or alububble are very effective radiant barriers. To get the best of both worlds, you can combine radiant barriers with bulk thermal insulation like think pink aerolite (fiberglass) or isotherm (polyester) to achieve a higher insulating value. The combined product is called factorylite if you go the fiberglass route or isofoil if you got the polyester way. In these combinations the reflective insulation acts as the bulk thermal insulations facing material. Make sure you get a qualified company that has experience installing this material, the effectiveness of the radiant barrier depends on how the insulation is installed. It’s much easier to install reflective insulation in a new home or building where you roll the foil over the beams from the outside and overlap it where it joins. Doing a retrofit installation in an existing house is much more difficult because the roof is already on. You will have to cut the material to size and fit it between each beam separately which can be quiet time consuming. Does dust affect the radiant barrier? Dust plays a big role in the reflectiveness of the material. After a couple of years the radiant barrier will get dusty and lose some of its ability to reflect effectively. The radiant barrier need to be installed foil face down to prevent as much dust accumulation on the reflective surface as possible.